How should theology interpret transhumanism? What can be said about the man’s relation to God, his spiritual striving, and his self-understanding? These are just some of the questions that emerged during the meeting on Friday April 20 during the speeches held by professors Giorgia Salatiello and Sr. Daniela Del Gaudio. 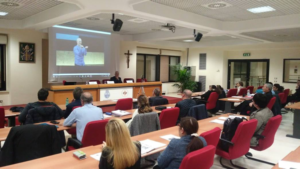 «A spiritual revolution» and a pure «technical» action are among the most highlighted points during latest session of the Masterclass in Neurobioethics, “Neurobioethics and Transhumanism.”, Dr. Sergio Canavero emphasized the possibility of a head transplantation of human beings, a possibility often met with precaution. 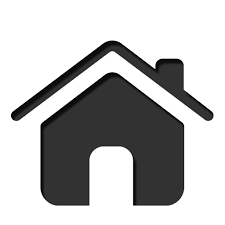 GdN coordinator Fr. Alberto Carrara, discussed how many thinkers disregard a specific vision about human nature and consequently ethical action. He insisted that human acts cannot be isolated from a relationship with freedom, responsibility and dignity, which are decisive elements for every medical action. The doctor should join, assemble, restore the functioning between the living body and the deceased donor’s body. The doctor could, erroneously, glimpse a mere “producing” in what he is doing, reducing the meeting between doctor and patient to an approach between an operator and an object. In the body transplantation case, one’s original vocation is to take care for the other. Every ill person directs his fears and hopes to the other person’s competence, letting the doctor enter his lives in a concrete act of trust, both professional and human. 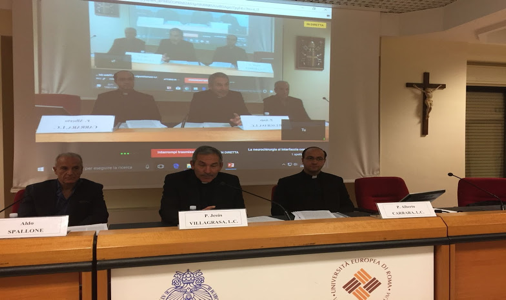 The two interventions, “Theological Anthropology Questions about the Recent Scenarios Raised by Transhumanism” by Prof. Giorgia Salatiello (Pontifical Gregorian University) and “The Creational Destination of Man to Immortality: Identity and Resurrection” by Prof. Sr. Daniela Del Gaudio (Pontifical Urbaniana University), extended the consideration to the central points of the Trans and Posthumanist movement, and theology, in some concepts of common interest (for example immortality, life, meaning of death, of freedom, of corporeality, of the person and the task entrusted to him when God is perceived in his origins), promoting an exchange as constructive as possible. In this sense, during the first intervention some themes, particularly suggested throughout the Masterclass’s opening lectures, re-emerged, confirming the fact that, using Prof. Salatiello’s words, «transhumanism constitutes a major challenge for theological anthropology»: to embrace a vision of the human being as a creature implies that our free action is not arbitrariness (without constraints, bare of foundations); greater dependence on God implies greater freedom because God places the creature free (in the Christian conception freedom is constitutively oriented to the good). The concept of “person” is a notion that contains in itself the relationship with God, the uniqueness of the individual and, again, the free response to the loving call. Transhumanist language often indicates a fluid, evolutionary view of the human being, together with the lack of distinction between him and artifacts or between man and animal. The individual (a term more commonly used precisely because it can underline the ontological poverty in the definition of person) is drastically reduced to the dualistic vision of himself. 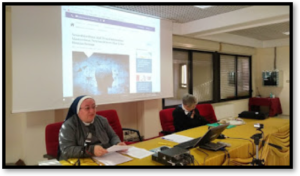 Sr. Daniela Del Gaudio further analyzed the theological comparison in the light of eschatology, linking the substantiality of the human being as a relational being in his relationship with God and in the human being as integrated whole, whose soul informs the matter and whose identity is substantially shaped by the spiritual element. The body historically characterizes the person in the union through the spiritual trait, which remains when everything else changes. Facing the attempt of some doctrines to dissolve the unity of the human being through the subtraction of the soul, Prof. Del Gaudio spoke of «pneumatic realism», using Pope Benedict XVI’s expression, in response to thorny questions, such as the doubts about the identity of the resurrected bodies, if separated from the soul. In the resurrection, the soul will reshape the matter in that same form that «virtually preserves in itself», our corporeity will be transfigured and renewed on the model of Christ. The encounter with Christ marks a new life and following of Christ reveals the vocation to immortality, a call to eternal life. The Catholic Church affirms that there is a resurrection: our body preserves its identity in it and the human Ego subsists and survives, despite the dissolution of the body. Through Christ’s victory over death, which becomes a liberation and fulfillment. Here death, suffering, and pain finds new meaning and eternal life perpetuates the call to live with Christ, a communion that makes all other relationships more complete and alive. 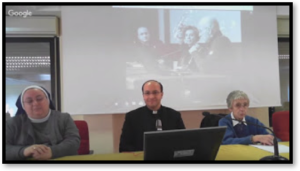 At the conclusion of the round-table seminar, there was a debate on the ideas of the “Letter Placuit Deo to the Bishops of the Catholic Church on Certain Aspects of Christian Salvation” of the Congregation for the Doctrine of the Faith, in which explicit reference is made to two tendencies now widely spread, or from which certain school of thought seem to draw inspiration: neo-Pelagianism and neo-Gnosticism. The first consists in man’s effort to achieve salvation by himself, observable in the way he uses (or becomes a servant of) the technique, then robotics, technologies, etc; the second seeks a subjective salvation through the liberation from the body. Transhumanism contains tendencies toward both of these two approaches, «two temptations of the human being». The question emerges: «Can the man who can dispose of everything also dispose of himself as he pleases?». This is an urgent question that must be answered to protect the fundamental rights of man so that he will be guarded, not dominated, by his neighbors and his works. 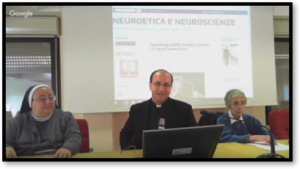 The first edition of the masterclass in Neurobioethics, “Neurobioethics and transhumanism”, fully entered the main problem addressed not only by the masterclass, but by all the research path that, during next five years, the interdisciplinary research group in Neurobioethics (GdN) will face, in other words the head transplantation and the effective opening of the Trans and Post-humanist panorama. 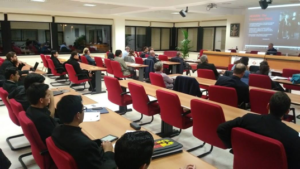 The internationally renowned neurosurgeon, prof. Aldo Spallone, last November 24, outlined the clash-meeting between Neurosurgery and this so long-awaited event. 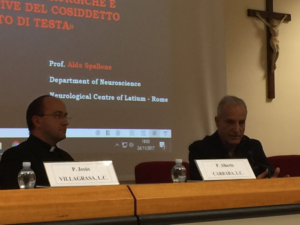 Thanks to the lecture given by the internationally renowned neurosurgeon, prof. Aldo Spallone, last 24 November, during the third meeting of the masterclass in Neurobioethics, “Neurobioethics and Transhumanism”, many participating scholars had access to the specific practice of this topic, actual core of what expected above and beyond neurosciences. 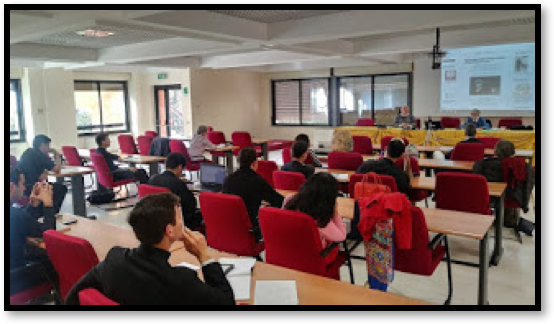 Father Alberto Carrara, Coordinator of the GdN and of the masterclass, already prepared during the previous meetings a plot (scientific, philosophical and notional), updated to the most recent developments, about possibilities, expectations and goals of the Trans and Posthumanist movement. In accordance with the masterclass structure, in fact, the need is to show quantity and quality of the issues raised by this intervention, which will significantly result in new interdisciplinary answers, as well as in the first step towards an escalation predetermined by internal names of these two wellknown movements, Trans and Post-humanism. 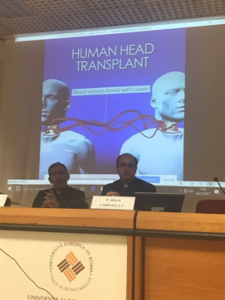 During the introductory presentation, the steps already taken during previous lessons has been recalled: the so-called head transplantation is close; probable and craved transhumanist goal, which stresses out the minds of those who are following its development. 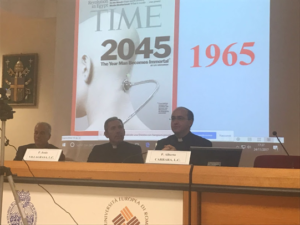 The whole philosophy from which Canavero’s experimentation originates, however, is the same which stands behind the famous “2045 Initiative”, whose cultural assumptions are strongly critical about contemporary society; reason why redemption has to come through a new kind of humanity, achievable during the era of digital immortality. Anxiety and hope are the two opposing reactions and perceptions generated by this future vision of humanity, who is tottering between her own improvement and the danger that, while trying to reach this improvement through the “Immortality Project”, she would no longer fully recognize her human nature, at the point to risk to lose it. The imminence of the problematic issues about objects of neuroethics interest (personal autonomy, privacy, subjective identity, rights and equality in the therapeutic field related to the costs that such interventions would require, etc..) is already an international political discussion item. What explained by the esteemed neurosurgeon Aldo Spallone traces the academic and professional history of his colleague Canavero, pointing the link between his actual project “Heaven/Gemini”, in addition to his purpose, scheduled for 2020, to transplant a human brain into a machine (producing so a new humankind), and his concern, his particular awareness towards the issue of pain in the early days of his career, following the path which inspired his study of this issue. The Turinese neurosurgeon, along with his Chinese colleague Ren Xiaoting, proposes a series of “smoky” experiments, considered so by most of the scientific community, related in their technical aspect to standardized protocols, adopted without mitigating preexisting doubts about certain steps, such as for using the “sealant PEG”, whose function is to ensure the restoration of the integrity of the cutted nervous fiber; a technical device source of widespread skepticism. There are therefore some strong perplexities about timings of the attempt set for next 17th December: it seems that different personalities from the scientific community consider the attempt premature, particularly because of the problematic glitch that the connection between the two spinal marrows represents. Even admitting its success, there are three possible scenarios: the transplantion is successful, but the patient doesn’t regain consciousness; the patient regains consciousness, but it is unknown what will happen to the marrow (it’s an high section cervical transplantation where the survival rate on average is 4 years circa); head and spinal marrow work correctly and Canavero successfully reaches his goal (evidently the last two hypothesis feed cultural, legal, geopolitical, spiritual, philosophical, bioethical, etc… issues, the same analyzed during the masterclass). Clearly it is necessary, beyond the feasibility of the procedure, to dwell on “who” will be the “patient-hybrid” resulting from the procedure, main theme of the philosophical inquiry along with the purely bioethical consideration on the definitory frontier between health and disease, therapeutic and non-therapeutic, which additionally lies in the gap between Ren and Canavero, where the first one intends purely therapeutic purposes; the second instead publicly admitted his former support to the “2045 Initiative” or, in simple terms, intends to pursue immortality. How cleverly introduced by the Rector of the Pontifical Atheneum Regina Apostolorum, F. Jesús Villagrasa, and then recalled by the Director of the UNESCO Chair in Bioethics and Human Rights, the jurist Alberto García, the emergency engraved in these “radical medical interventions” would relapse on many fronts. Head transplantation specifically demands more careful sensitivities to the informed consent involved between the subjects, patients, each one coming from different and varied contexts (politically and culturally), suffering from serious and debilitating illnesses; therefore it becomes more urgent to take on responsibility, already fully accepted and exercised during the dialogue between many areas and sectors involved in the same conversation, if we consider it in light of the person, of her centrality and her human, ethical values, which affect and wholly define her; the same values recognized by law as a tool of safeguard and guarantee, which are enduring over the possible innovations, promoting a reflection on their own “ethicality”. So the anthropological reflection on the integrity and the value of the person is the closest thing there is to the hypothetical goal of Sergio Canavero: the complexity of the head-body transplantation is not exclusively a purely practical complexity; we know in fact that before the doing, intended as “to able to do”, there is the analysis about the right for the person, that that possibility displays or not. “We are on a border (…) what is in the running, it may be too much»: consciousness, soul, identity are factors here called into question, subordinate to new languages following an intervention that would act on and for the suffering of a certain condition; but, doing this, it obviously affects the whole human being from whom no disease or dysfunction may be considered separate. Prof. Garcia highlights, integrating the anthropological structure of this issue, even the action of Governments and States, if Dr. Canavero’s challenge should gauarantee a success. We must not forget the social implications that require experts to recall the centrality of the human being and of human rights as core from which social ramifications depart and get more complicated. It’s fundamental to recompose the question about the purpose which leads to the use of human and material resources, in other words if the contribution to humanity have here a genuinely dystopian value, going to detriment of mankind while pushed from the power associated to progress, or if, on the other hand, it could be ethically thinkable (or even needed) such a medical intervention, in order to combine what presented and waited for the next December with medicine’s proper therapeutic vocation and with a research at the service of mankind, because she loves mankind. We need to discern the nature of the body-head transplantation with critical thinking. 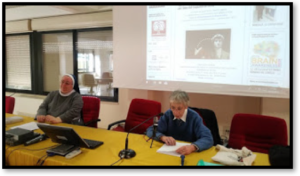 What was said during the third meeting of the first masterclass in Neurobioethics leads us to reevaluate the meaning of limit as an humankind distinctive element, in order to not run in the shadows of a new ethic of in-equality. 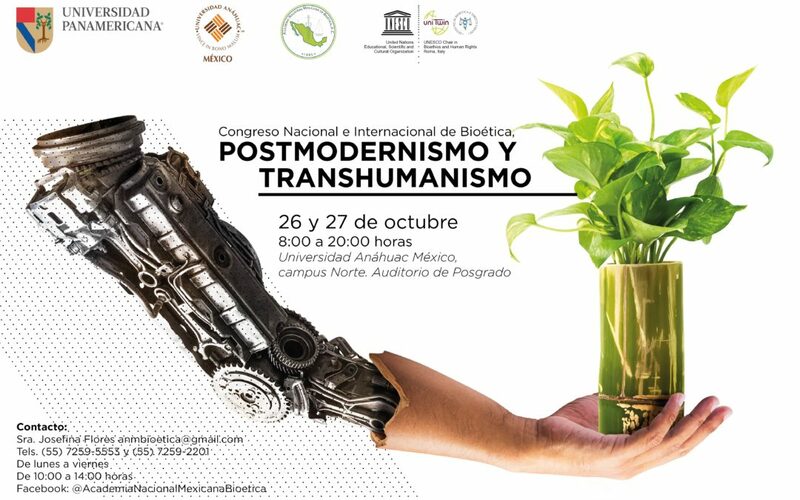 The Director of the UNESCO Chair in Bioethics and Human Rights Prof Alberto Garcia, will be a speaker of the Master Conference on “Transhumanism and Human Rights”. The main purpose of the Congress is to relate the current context of the history of humanity intended as Postmodernity, with its phenomena and contradictions with Transhumanism, which represents a new operative conception of the future of the human being. This conception competes with scientists and experts of different knowledge sectors such as: artificial intelligence, neuroscience, nanotechnology and applied biotechnology, such as health oriented and so-called gray biotechnology, which is made up of all those applications directly to the environment, which in turn are subdivided into two large applications: the maintenance of biodiversity and the elimination of pollutants, issues that have to do with pollution present in many parts of the world. On July 7th 2017, Prof. Mirko D. Garasic participated in a stimulating international conference in Turin on genome editing, reproductive technologies, science fiction and media. 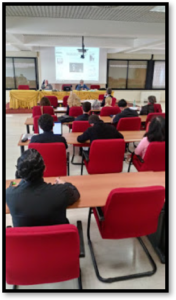 The conference was organized by Dr. Solveig Lena Hansen and Dr. Maurizio Balistreri with the generous support of the Andrea Von Braun Stiftung. 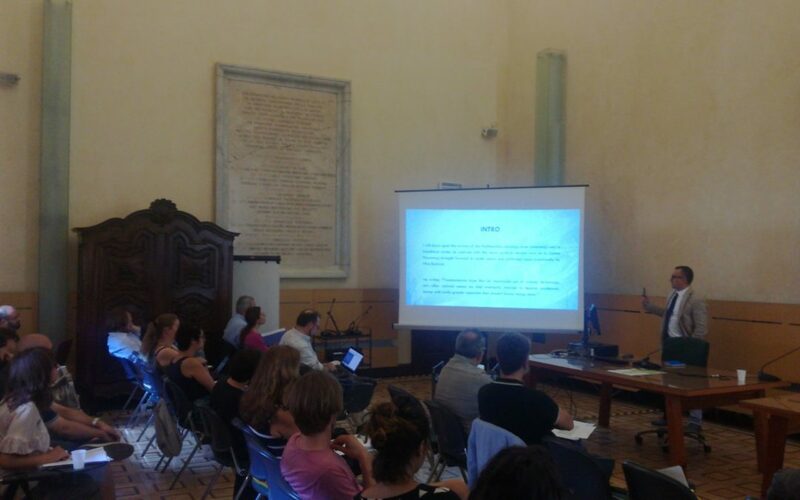 Prof. Mirko D. Garasic gave his contribution with a talk entitled “The Evolution of Physical Enhancement in Cinematography” divulgating the ideas expressed in the recent published article in Studia Bioethica. In this article, he analyzes “the ways in which Physical Enhancement (PE) made its first cinematic appearance and then make comparisons with more recent filmic re-elaborations on the theme [offering] direct insights of some re-adaptations of the same film (Robocop) and saga (Star Trek), and take into account stories, mostly comic-based, that only recently arrived on the big screen, but that nonetheless followed a pre-existing narrative giving relevance to PE (Spider-Man, Captain America, X-Men).” The article can be read here. Since 2009, one of Chair’s chief areas of interest has been Neurobioethics. The Chair is thus deeply concerned with the ethical issues inherent to progress in basic and clinical applications of neuroscience. The Chair’s experience in fostering the art of convergence and cooperation in global ethics enables her to gather diverse groups of international professionals and researchers from various specialties adopting an interdisciplinary approach on the ethics of neuroscience and the neuroscience of ethics.